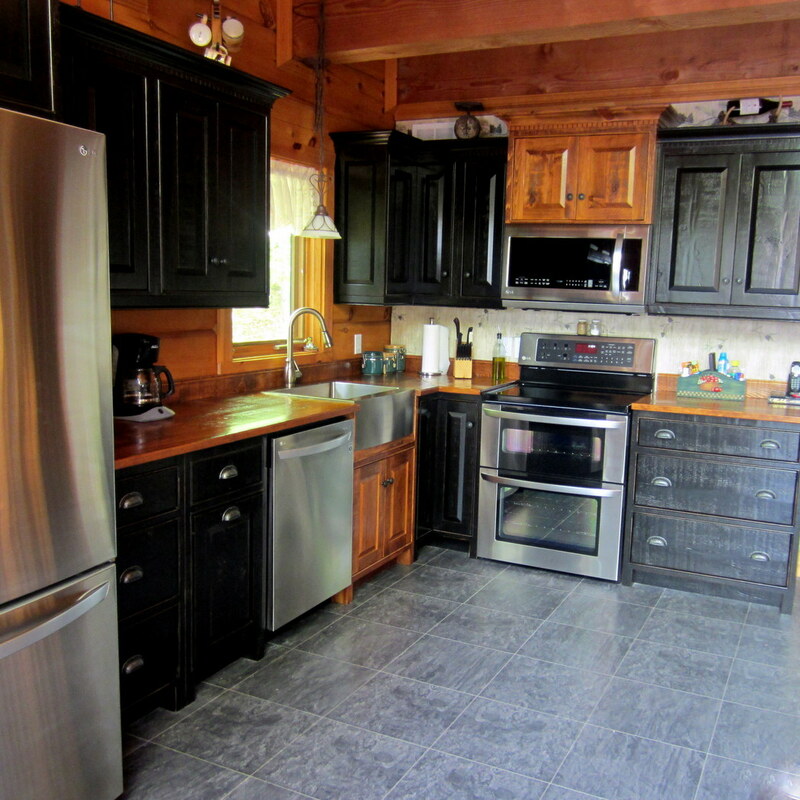 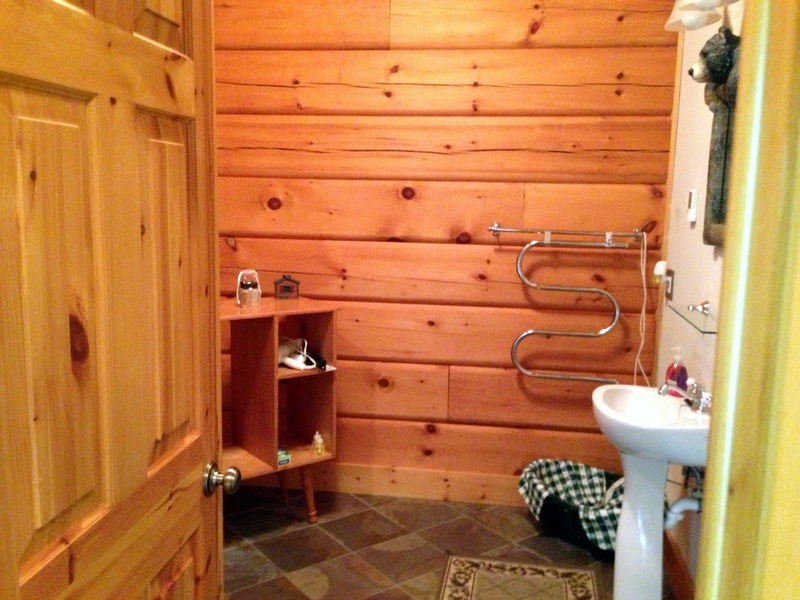 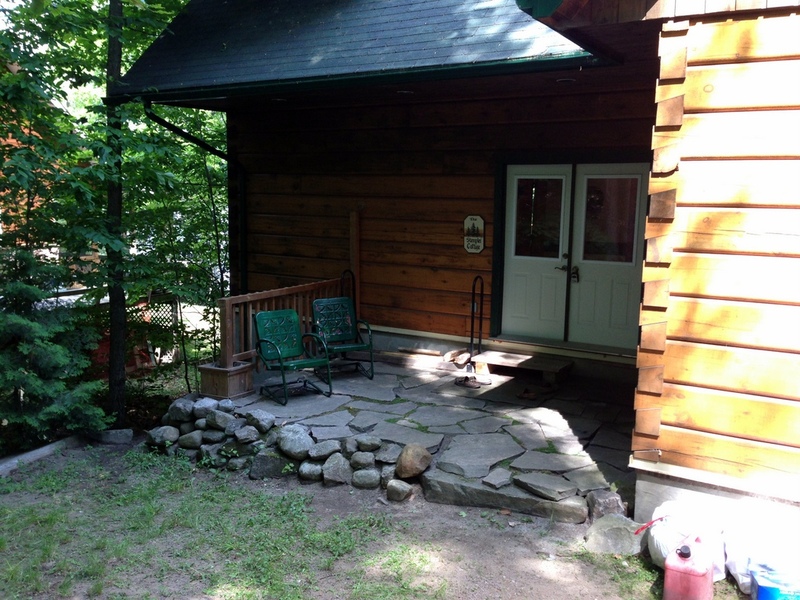 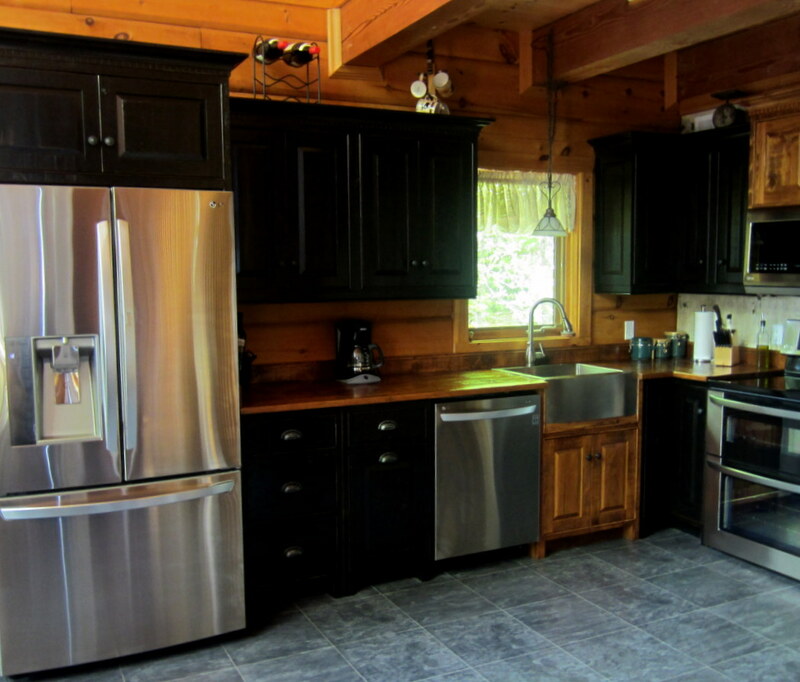 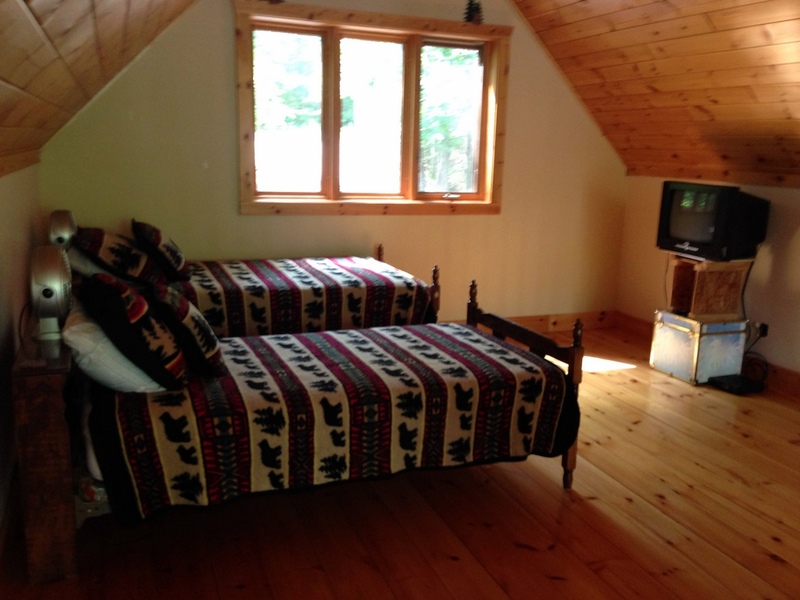 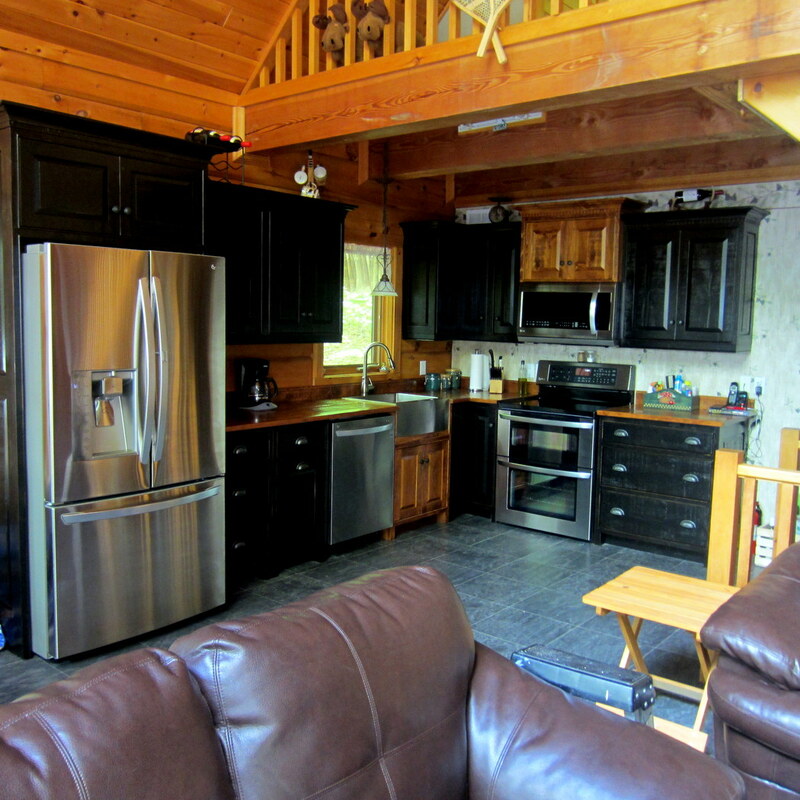 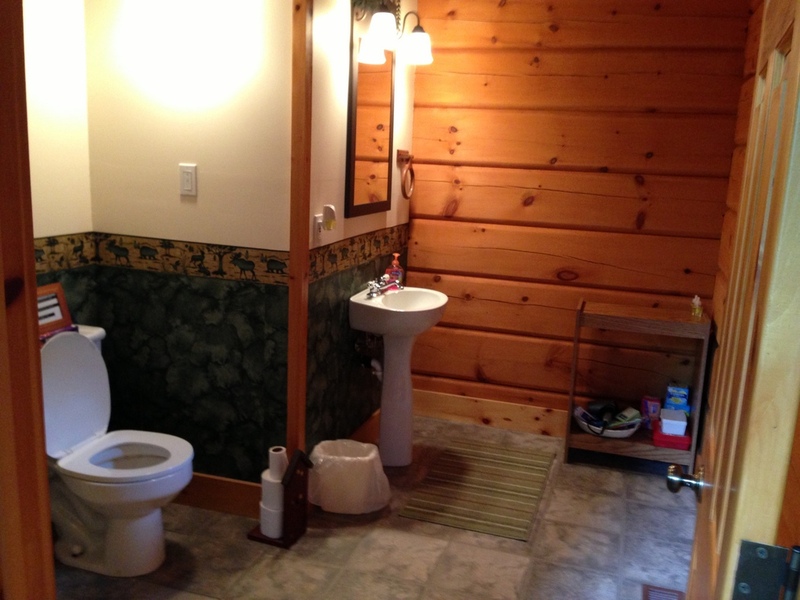 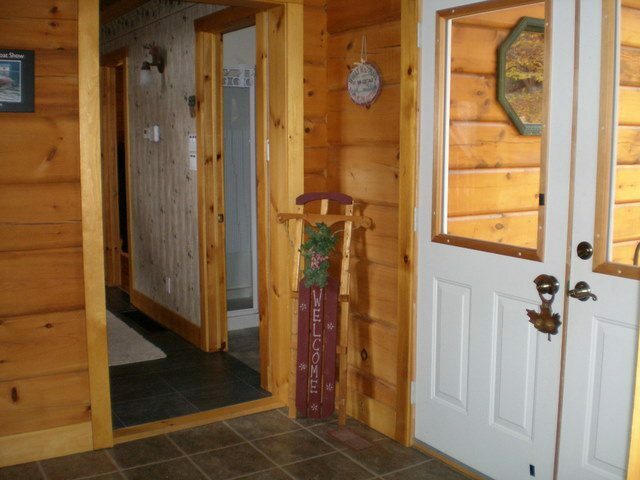 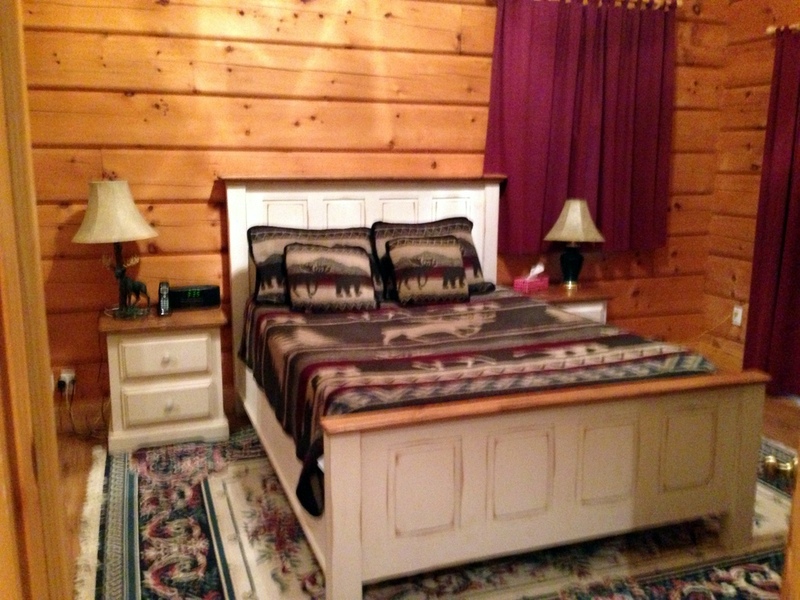 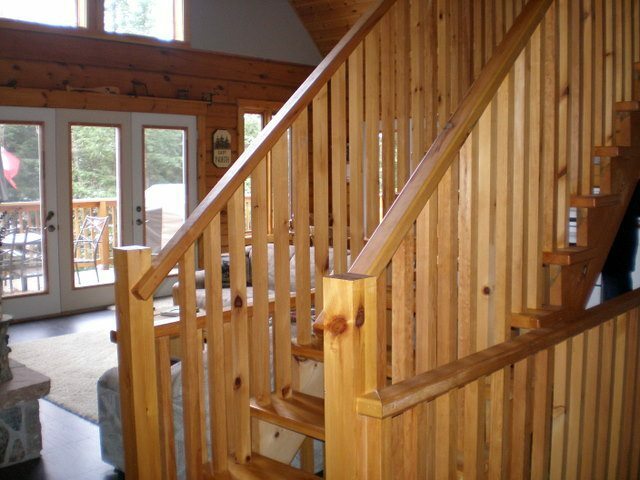 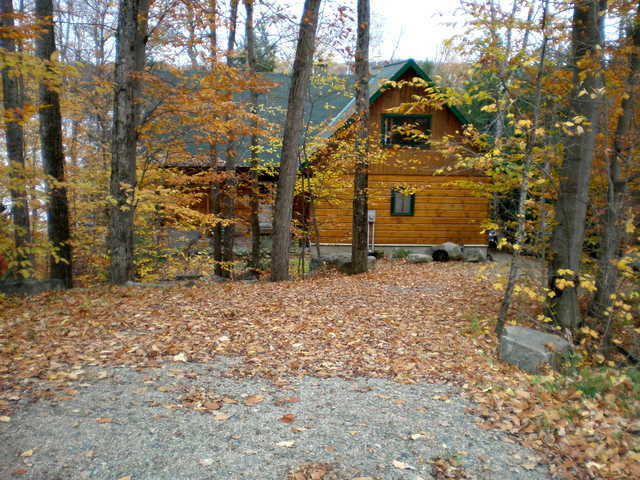 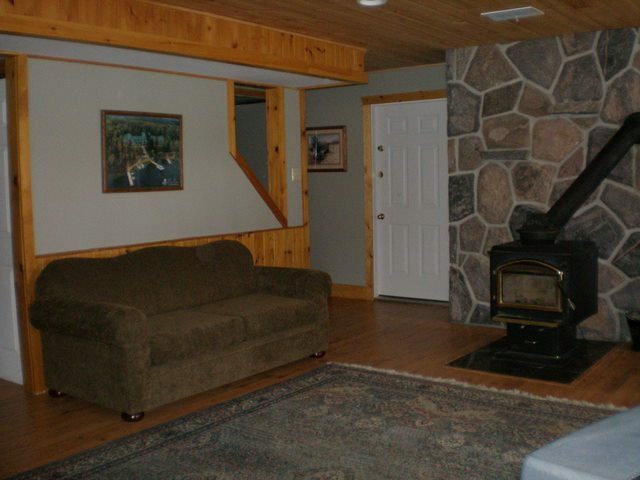 Here is a great cottage that is just 15 minutes to town yet seems a world away from the stess of your everyday life. 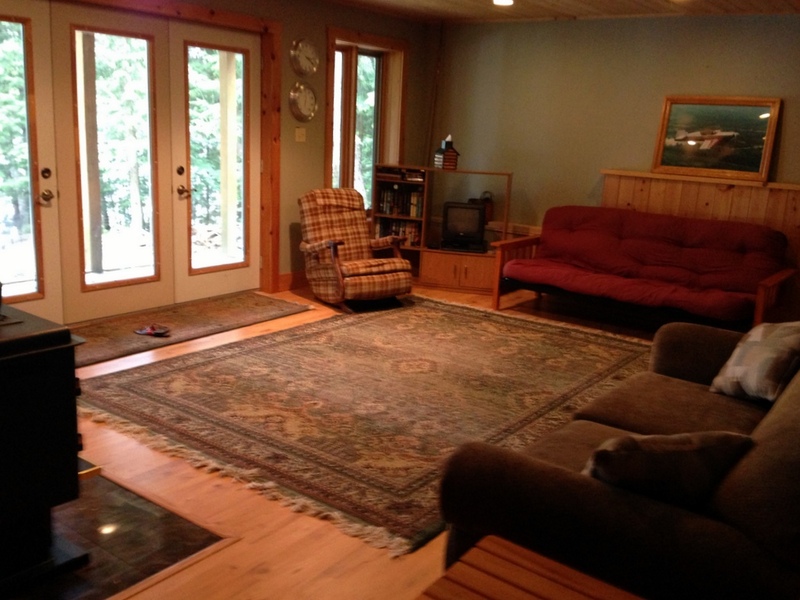 The tall windows in the great room offer plenty of natural light and open views down to the water. 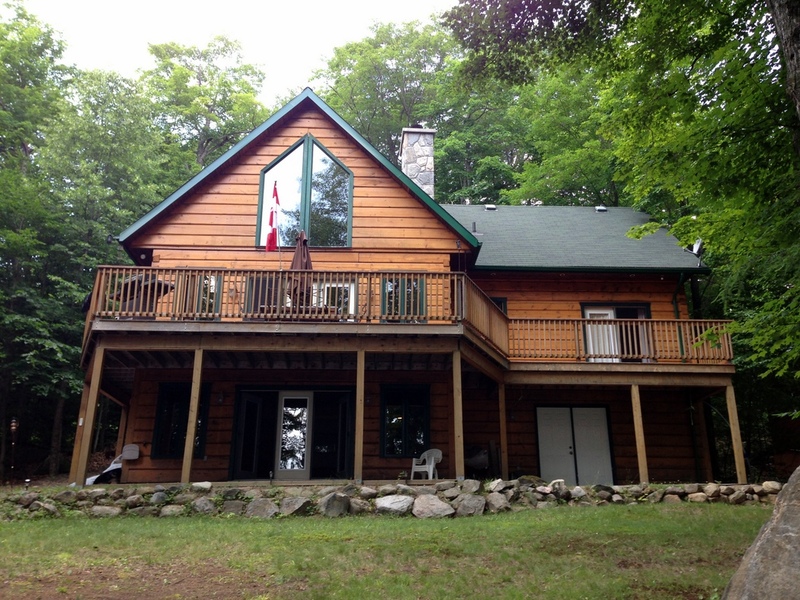 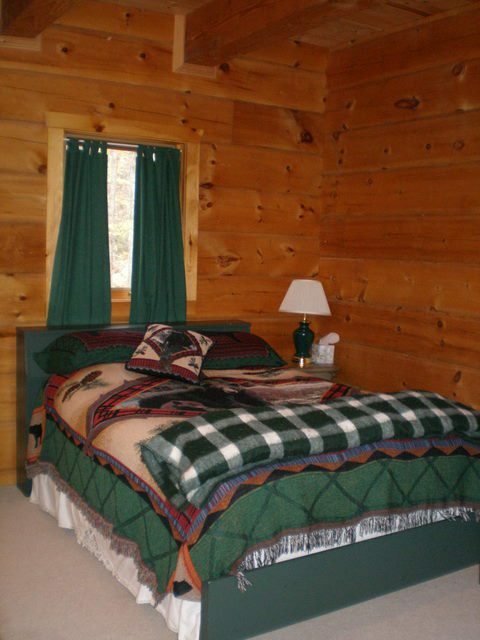 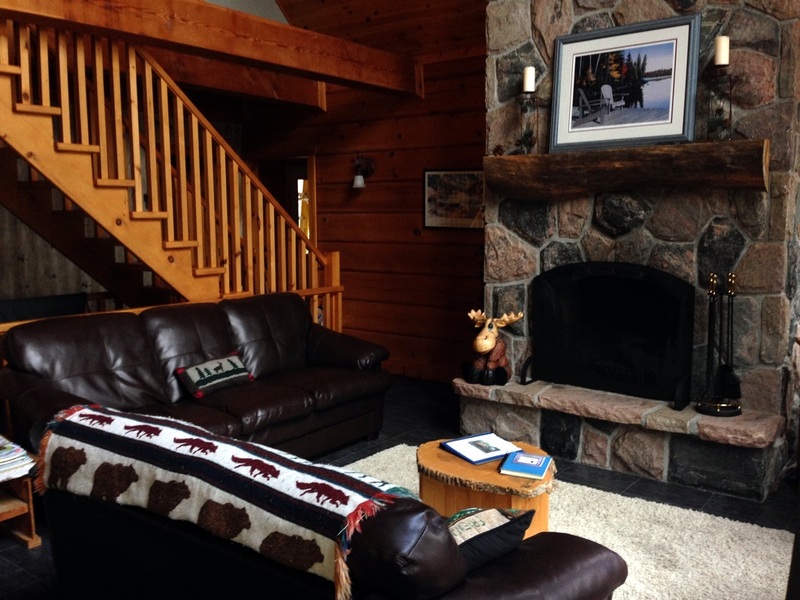 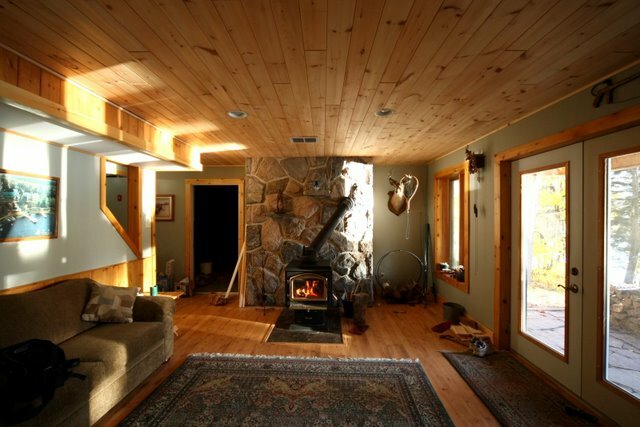 This True North Log Home features vaulted pine ceilings and a large floor to ceiling stone fireplace to provide that "Muskoka cottage" feel. 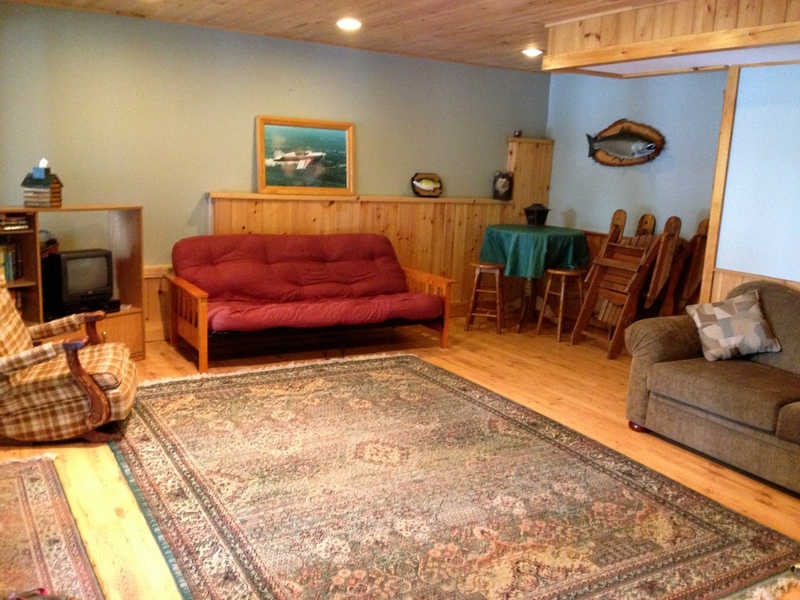 The lower level family room provides a second sitting area for family gatherings or to have some separation from the kids. 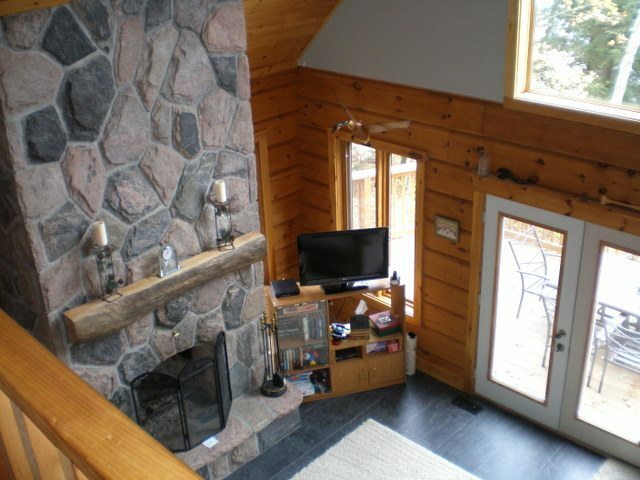 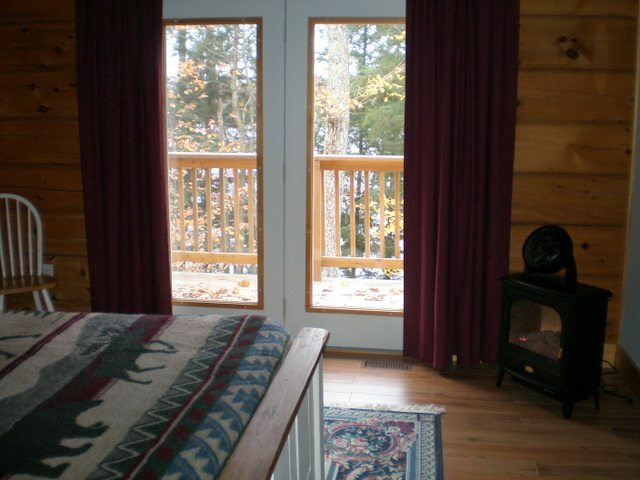 Here there are doors opening out to a patio, and windows with a view of the lake. 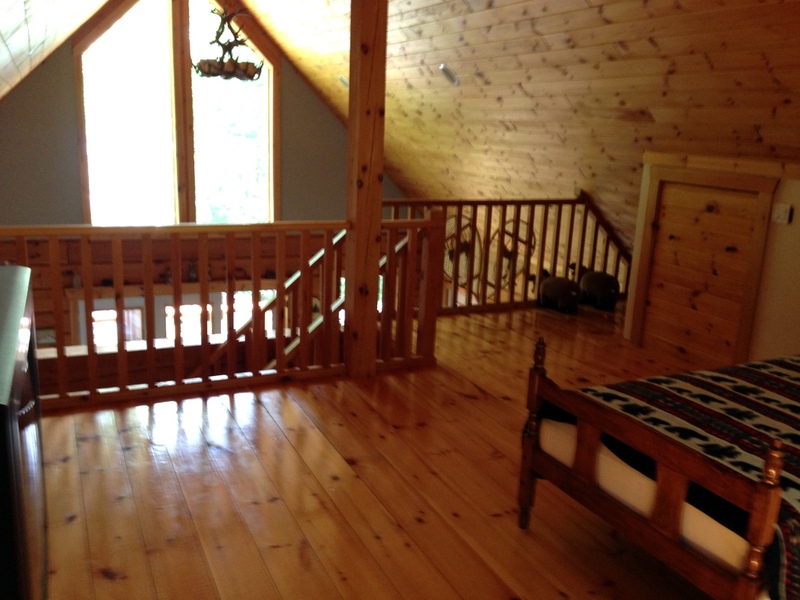 The master bedroom enjoys a private walkout to the deck and a 3-piece ensuite, while the loft provides a sleeping area for the kids that is open down to the living area. 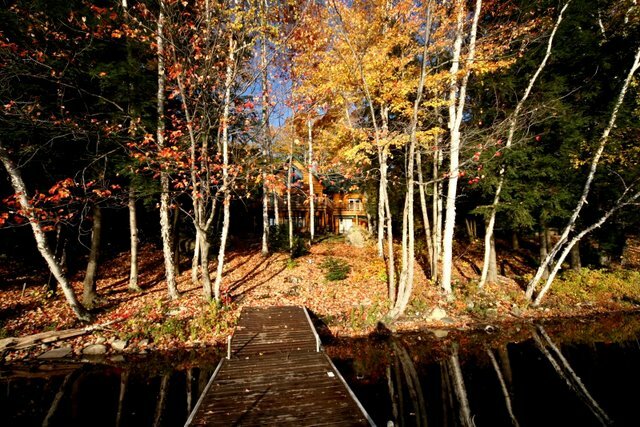 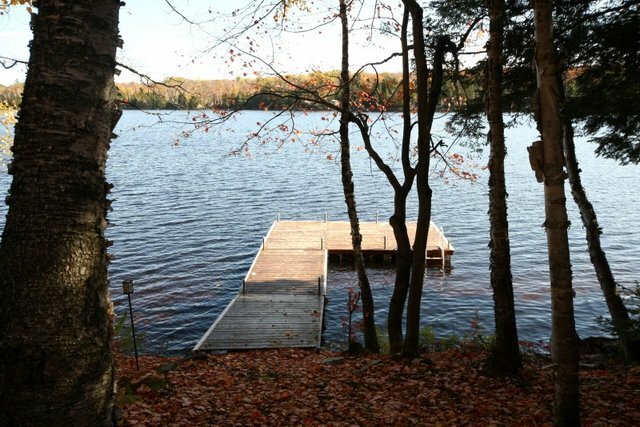 The property slopes down to the water where you will find a natural shoreline and the large dock to sit out and enjoy the sunshine. 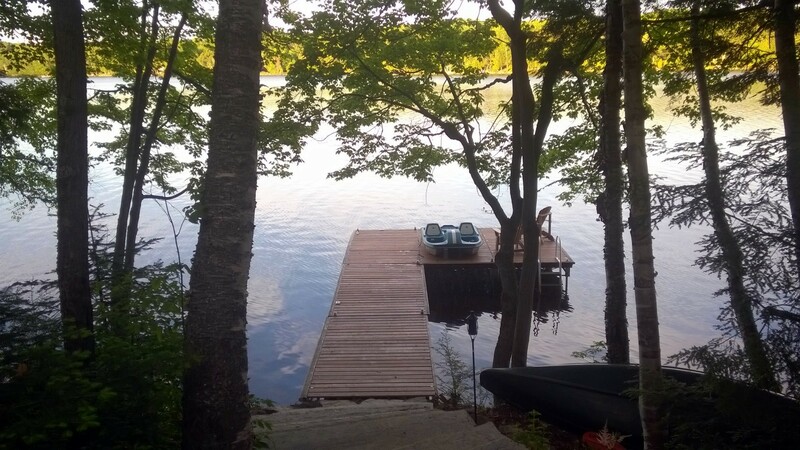 The depth at the end of the dock is around 4 feet but then drops quickly just past the end of the dock. 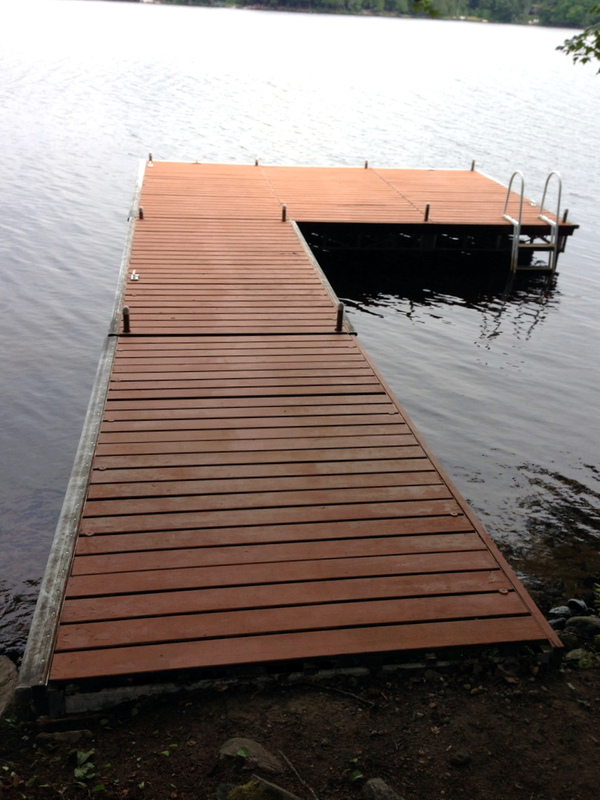 The swim ladder and deeper water provides good swimming from the dock. 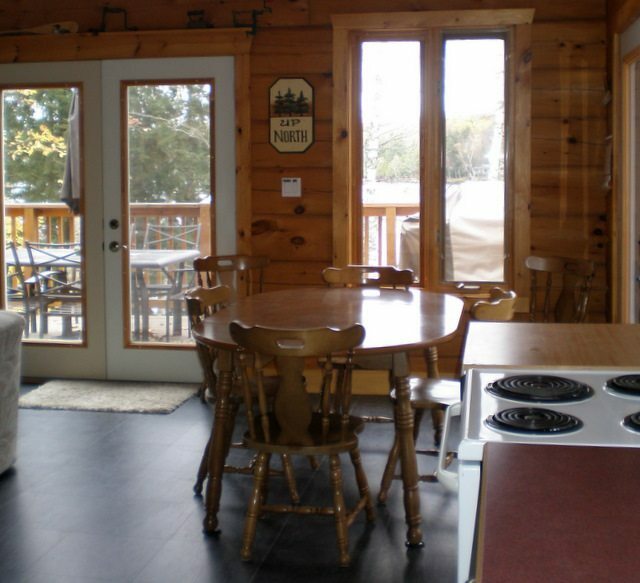 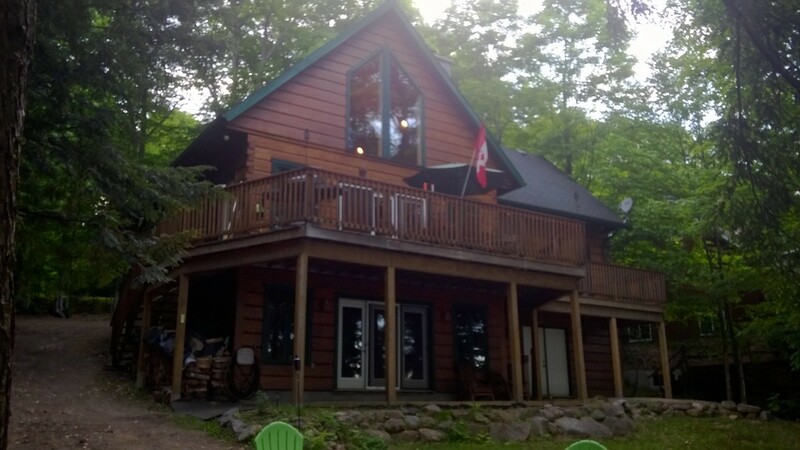 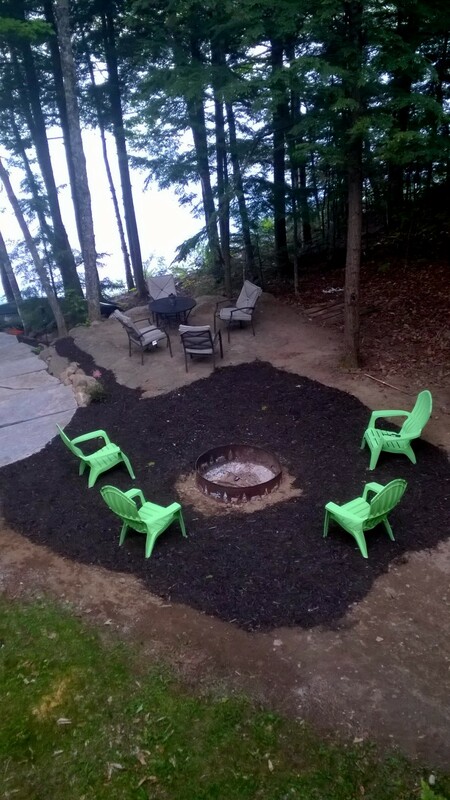 Come and experience the cottage life, where meals and beverages always taste better when you're sitting on the fantastic deck enjoying the view out over the lake. 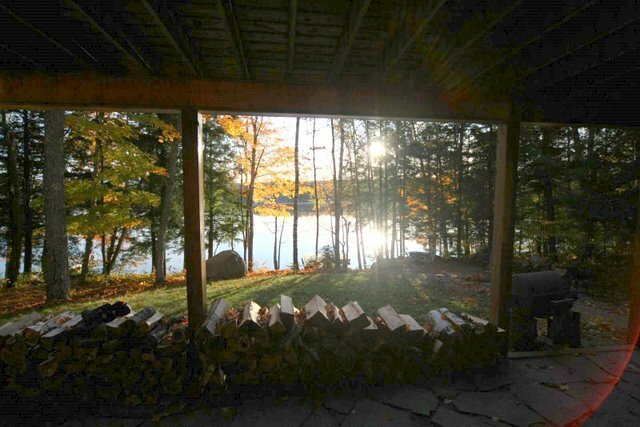 Here at the cottage, time just seems to slip by, taking the stress of everyday life with it. 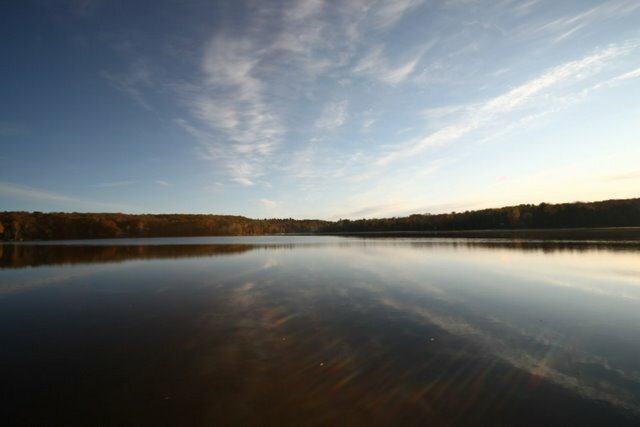 LOCATION: About 2.5hrs north of Toronto. 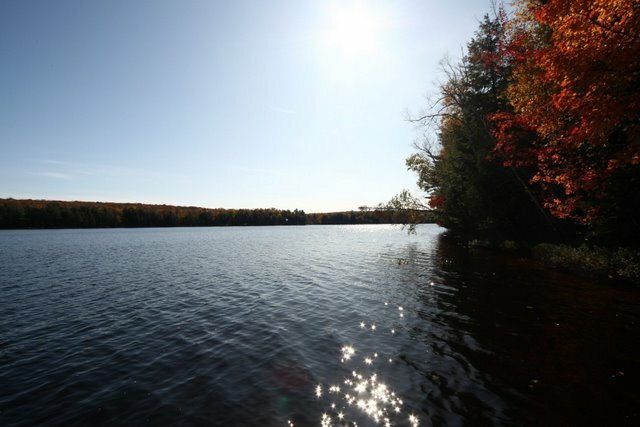 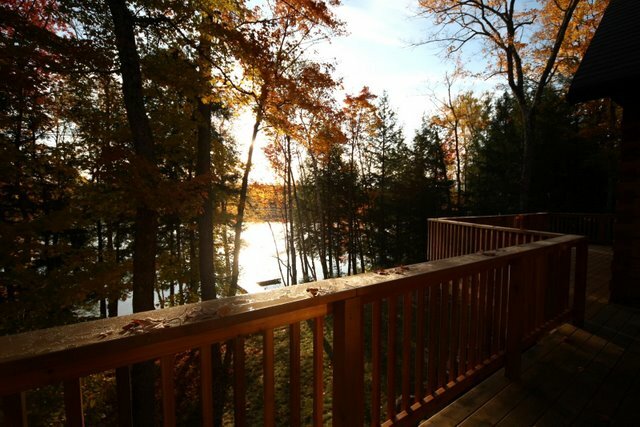 The towns of Huntsville Bracebridge are each about 15 minutes away for most all amenities. 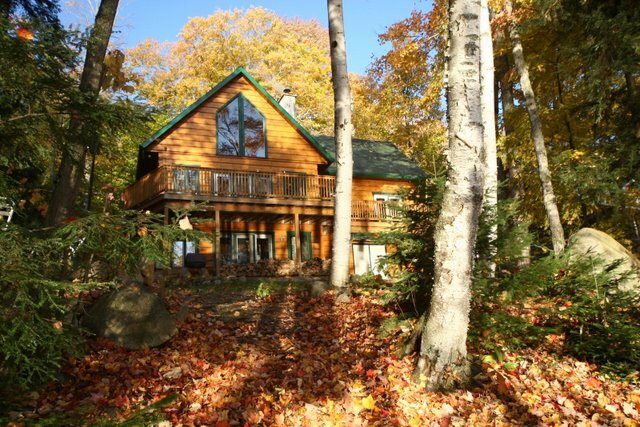 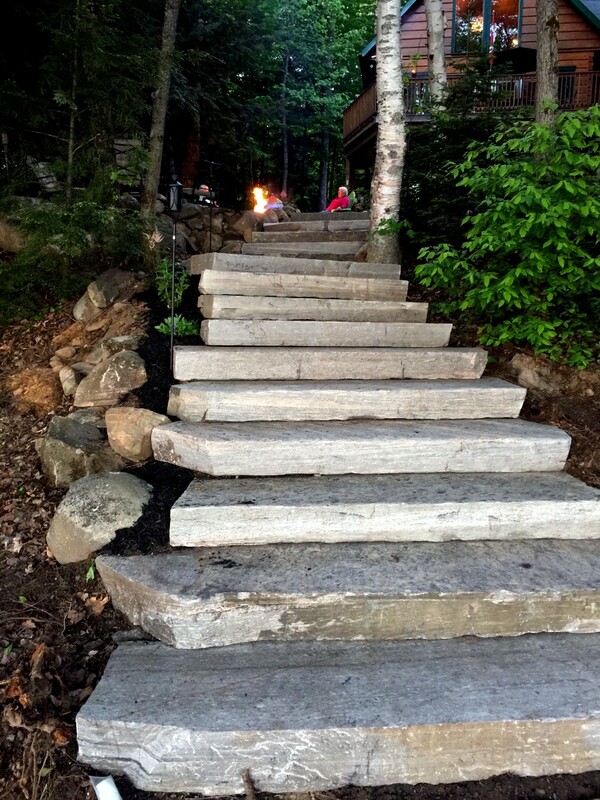 Deerhurst and Bigwin Island are both about 20 minutes away for fantastic golfing and dining. 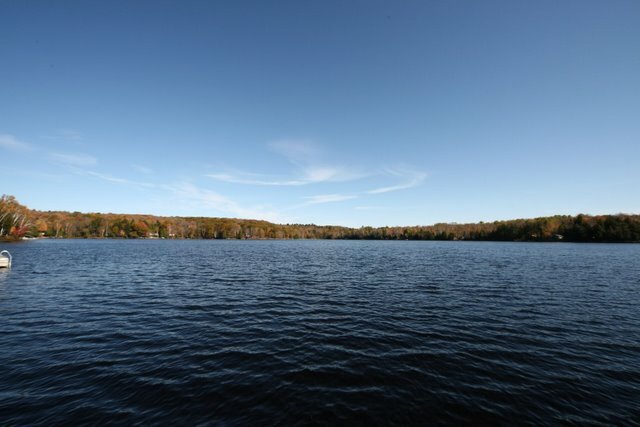 Good fishing for bass on the lake. 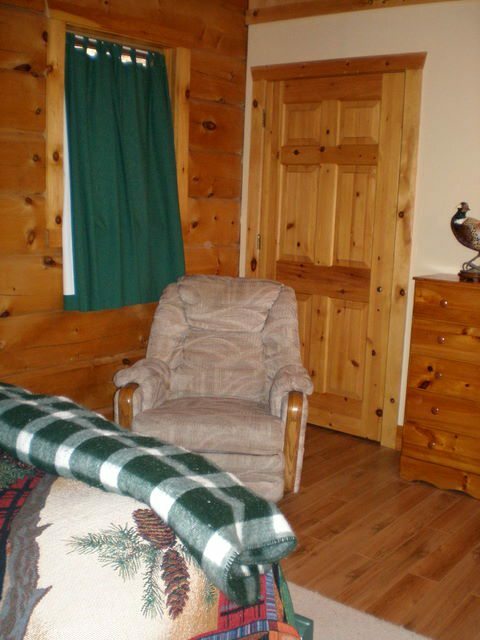 Pet allowed (1 dog), no smoking, maximum number of occupants is 6, bring own linens and towels, bring own drinking water, noise restriction after 11 PM.